Bank of America periodically increases the sign-up bonus on its Virgin Atlantic World Elite MasterCard®, and this year is no different with a possible total of 90K miles available on from this card. However, this is a multi-tiered bonus that has several requirements in order to earn the full amount. While the deal is being advertised as a 90K miles offer, it is really a 75K offer with a possible 15K anniversary bonus. We will detail the requirements to earn each increment of this bonus and then discuss some good uses of Virgin Atlantic miles. 1) Earn 20K Flying Club bonus miles after making your first purchase. (This is the standard offer on this card). 2) Earn another 50K Flying Club bonus miles after spending at least $12K within the first six months of opening your account. 3) Earn up to 5K Flying Club bonus miles by adding two authorized users to your account. 4) Earn up to 15K bonus miles based on annual spending anniversary bonuses: 7.5K bonus miles with $15K in annual spending and an additional 7.5K miles by reaching $25K in annual spending. You should be able to earn the first 25K miles quickly since the 20K sign-up bonus only requires a purchase with no minimum spending threshold, and then the next 5K by adding two authorized users. The 50K increment of the sign-up bonus will require more work since the spending requirement is $12K. Bank of America gives you more time to reach this threshold; 6 months instead of the usual 3 or 4 months that most travel reward credit cards allow. This effectively comes out to $2K of spending per month. If you need to boost your spending in order to reach the $12K threshold, you may want to consider using Plastiq to pay your mortgage or rent, or other techniques to boost credit card spend. If you are able to reach the $12K threshold, it’s not much further to go in order to reach the next threshold, which is $15K. You have an entire year to get to this level, which will unlock a 7.5K anniversary bonus. If you are able to reach $25K in total spend for the year, you will trigger the final bonus which is an additional 7.5K anniversary bonus. 1) 20K portion of the sign-up bonus has no minimum spend, so this part is a no-brainer. 2) 50K portion of the sign-up bonus requires $12k in spend, so you are earning 5.67 miles per dollar. 3) The first 7.5K annual spending bonus requires incremental spending of $3k once you’ve reached the $12K threshold, so you are earning 4 miles per dollar on this spend. 4) Lastly, another $10K of spending is required to earn the final 7.5K miles, so you will be earning 2.25 miles per dollar here. The first $15k of spending results in miles per dollar ratios which are much higher than the unbonused earning available on most travel cards. If you value Virgin Atlantic miles enough to sign up for this card, aiming for that level of spend is probably worth it. 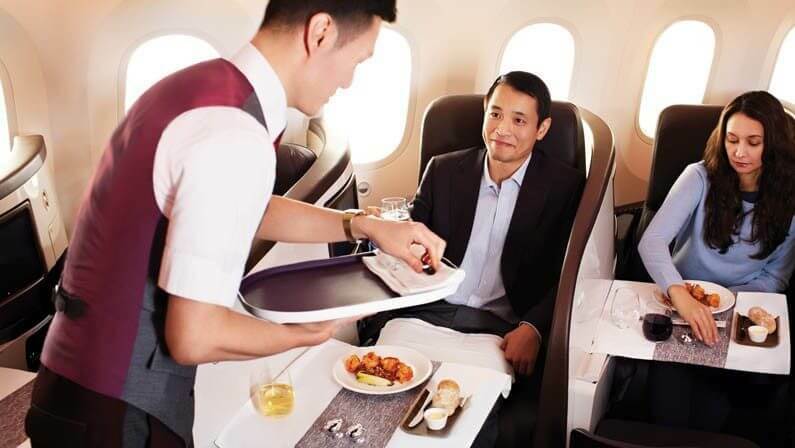 However, unless you are someone who is able to put very high amounts of spend on your credit cards or greatly values Virgin Atlantic miles, the last $10K of spending for the final 7.5K mile bonus would likely be better directed at another card. Also, consider that this card carries an annual fee of $90, which is not waived for the first year. Virgin Atlantic does not have a particularly valuable award chart for flights on their own planes. It’s also a bit complicated since it contains peak and off-peak pricing, as well as breaking the US up into four different sub-regions (Northeast, Midwest, South, and West). In addition, fuel surcharges are typically several hundred dollars and can go over $1,000 for flights in their upper class product. However, there is one amazing sweet spot for using Virgin Atlantic miles: partner award tickets on All Nippon Airways (ANA). While Virgin no longer makes their partner award charts public, the prices in the table below are currently bookable, though are subject to change at any time. The value for business and first class flights is incredible. A roundtrip from most places in the US to Japan will fall into the 11K-14K mile bracket, which costs 120K miles roundtrip in first class. This is an absolutely amazing deal relative to many other programs. For example, booking this same flight using United miles would cost 220K miles. Other Star Alliance partners such as Avianca and Air Canada would charge 180K and 210K miles respectively. Even booking directly through ANA would cost 150K miles. These awards still have fuel surcharges, but they are usually much less than when booking premium cabin flights on Virgin Atlantic metal. Unfortunately, these awesome awards cannon be found or booked on Virgin Atlantic’s website. You will need to use websites where you would normally find ANA partners awards. United.com is a good option, though ANA’s own site and Aeroplan are also respectable options. Once you have located the award availability, you will need to call Virgin Atlantic in order to make the reservation. Virgin Atlantic phone representatives are generally regarded as much friendlier and more informed than a typical airline agent, so the process shouldn’t be too horrible once you have located the flights.